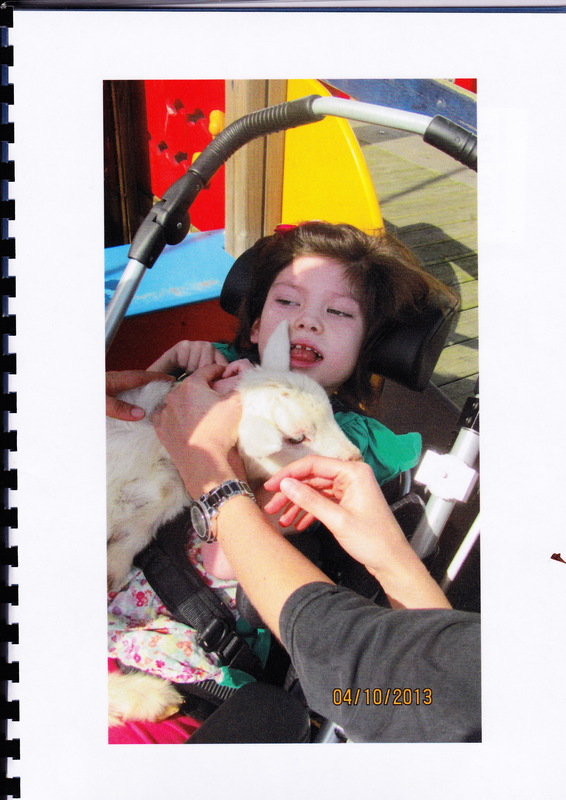 When you have a child with a terminal illness, the term ‘quality of life’ gets bandied about a fair bit. What does it mean? Somedays, if I were to think about Tilda’s day to day living, I would say that her quality of life was, to be perfectly blunt, pretty crap. She can’t move, can’t tell anyone what her needs are, suffers from endless seizures that do god knows what to her brain, can’t even enjoy the taste of food. It is those days that I dread – where I focus on what she can’t do. What she has lost. What has been so cruelly taken from her and from us. It is this way of looking at her ‘quality of life’ that makes me almost long for it to be over for her. It is this way of looking that makes us live a life of waiting. And it is horrible. To combat that, I turn it around and focus on what she CAN do today and on the good things that surround her. This way of looking at her ‘quality of life’ shows something quite different. A life worth living for as long as possible. She is surrounded by love, she can feel the touch of those who care about her, she can hear our voices telling her how fabulous she is, she can hear music and her favourite tv shows. She can get engulfed in a hug, she can feel the sun on her face, the water on her back whilst swimming and the sand in between her toes at the beach. She can smile and she can laugh. Oh boy, can she laugh! We had a weekend full of smiles and laughter. And it is a whole new face to get used to with her top front tooth finally falling out! So this is the quality of life I will focus on for now. A life of cuddles, hugs, smiles and laughter. At least I thought we were emerging from the fog of a sick Maggie but it turns out we have a few days left to ride out. Maggie had been fevery and cranky for a few days but seemed much better yesterday until I discovered the rash all over her. Turns out she has possible rubella and we are homebound for the next 5 days. Thankfully, she is less cranky and seems over the worst of it. And importantly, Tilda’s vaccines are up to date so she should be fine. School is back and Tilda is doing well. We had a fantastic time away – it was very relaxing and enjoyable and another huge thank you to my parents for making it happen. Maggie behaved herself very well with them, so much so that they are willing to have her again! 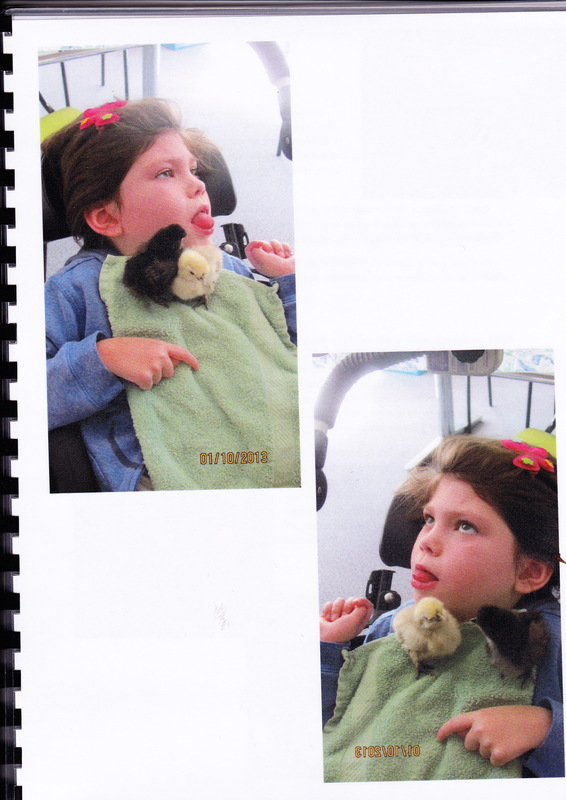 And Tilda had a fantastic time at Very Special Kids. They had their school holiday program and it was animals aplenty! Then they went on an excursion to Wonderland to see the ‘Wildlife Down Under’ show! 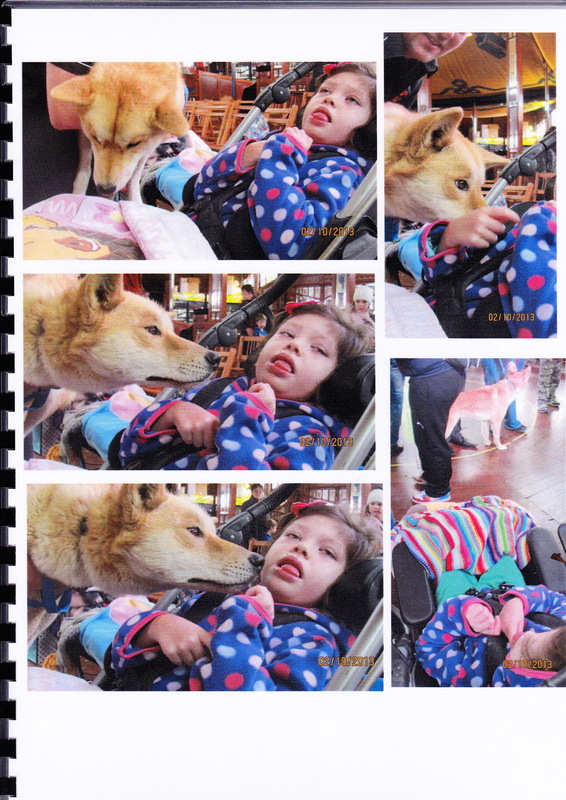 Tilda got up close and personal with a dingo! And if that wasn’t enough, they were visited by Animals on the Move with a whole host of different farm animals. A big thank you to all at VSK for doing what they do so well and for the gorgeous photo journal they put together of Tilda’s time there. We really appreciate it. Tilda has been doing very well although she has some increase in shakiness. We had an appointment with Tilda’s paediatrician in early October and after witnessing her, she placed a call to her neurologist who has given us a new medication to try – Vimpat. So far, we haven’t seen any decreases but I know these meds can take a while to kick in. Apart from being a bit shaky, she is a somewhat quiet and it is an effort to get a smile but her eyes are bright and she seems peaceful. Not much else to report on at the moment. We have some friends coming in from interstate next week so will be spending some time down at the beach – let’s hope for nice weather, Tilda would love to feel some sand on her toes!